This is exactly what you want on a hot summers day – something light but filling and obviously delicious! 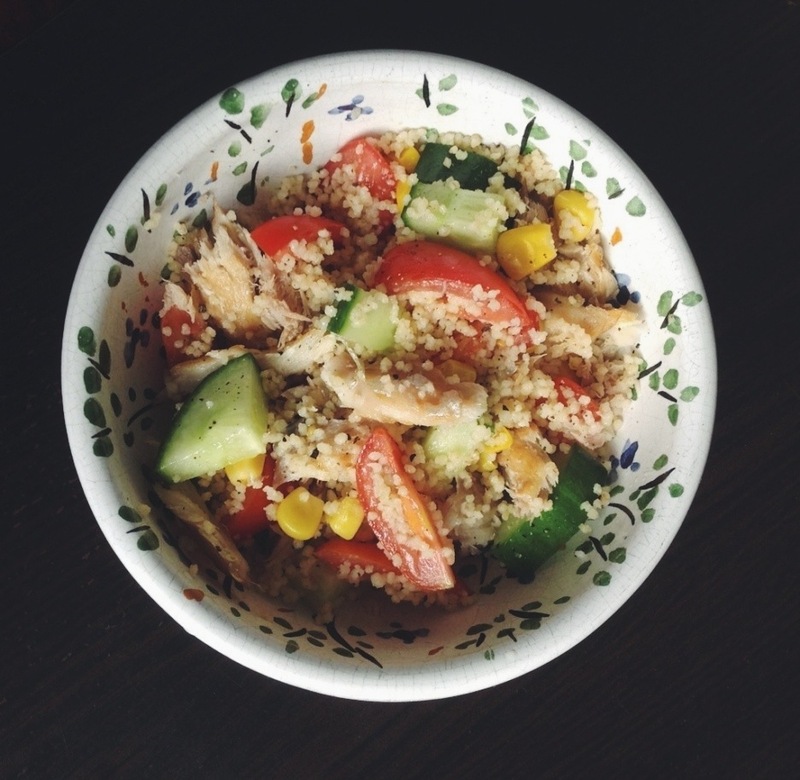 This salad ticks all the boxes, and it’s super healthy! You get the smokiness from the mackerel, sweetness from sweet corn and tomatoes, crunch from cucumbers and hint of tang from the lemon. The best part is, you can add whatever you want, add grilld chicken instead of smoked mackerel or add avocado for creaminess (I totally would! ), whatever floats your boat! On another note, its actually getting mildy hot in London – SAY WHAAAT?!?! I know you people in Death Valley must think I’m crazy, but honestly, if it’s anything over 20 degrees in London, people freak out. Anyway, enough rambling about English weather, here’s the recipe! Put couscous in a bowl with the same amount (plus a tbsp) of boiling water. Cover with a plate and cover for 15 minutes. 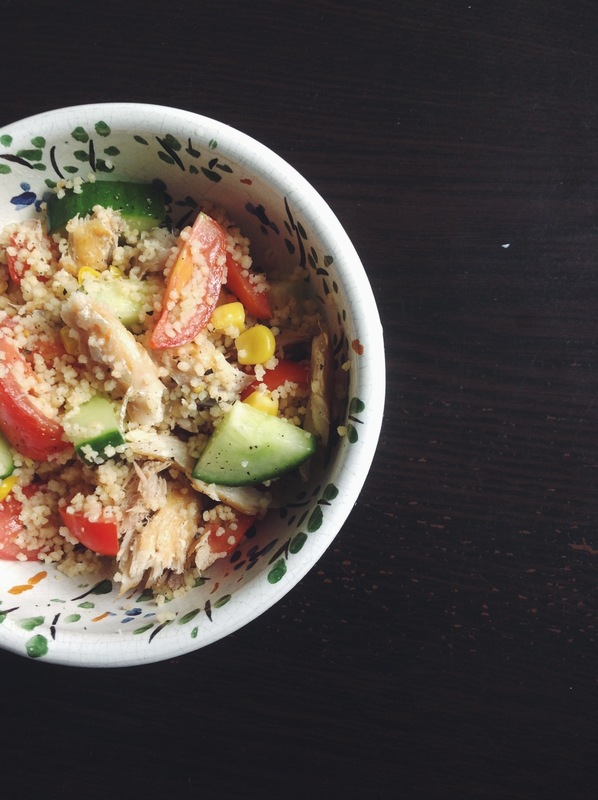 While couscous is steaming, chop tomatoes and cucumbers and flake mackerel into bitesize pieces. Once couscous is cooked, drizzle with oil and squeeze lemon on top. Add ingredients you just chopped and add salt and pepper to liking. 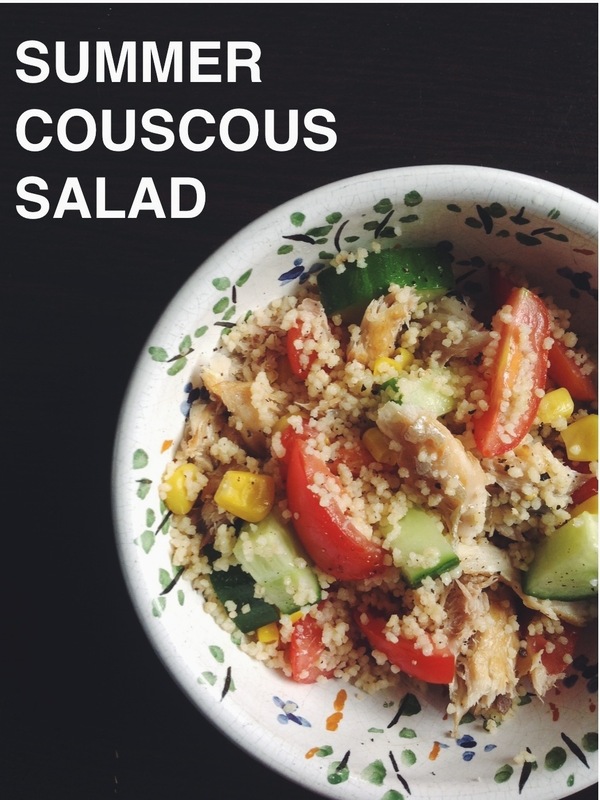 I like your Summer Couscous Salad. Have not had mackerel for a very long time. Thanks for sharing!